If you find some task complicated and impossible to handle, just view it as another life challenge and a new opportunity to learn something new and enrich your experience. For many students, essay writing is a daunting challenge: it always sounds scary when professors assign essay tasks with some specific requirements. However, instead of treating this task as an impossible one, think of it as of a great chance to improve your skills and practice academic writing. Your fears are probably based on the fact that you want your essay to be flawless and perfect. However, as you learn, be ready to make mistakes and write not so perfect essays – and it is completely normal. Even your twentieth essay may not be as perfect as you expect it to be. What you have to do is to learn from your mistakes and make sure you do not repeat the same mistakes again. When you pay attention to the writing style and errors you make, you will surely grow as a writer and will improve your technique and practical skills. An important thing to note is that you do not have to deal with the tasks alone in case you face challenges. 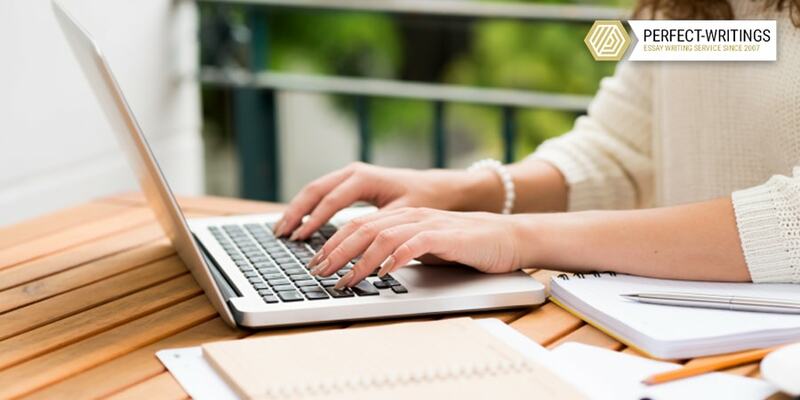 As a reputable writing service, we are eager to assist you in coping with your writing tasks. In particular, our company Perfect-Writings.com has prepared some guidelines with a list of ten tips on how to write perfect essays. Before writing an essay, come up with an interesting topic and formulate the thesis statement. Keep in mind that the thesis should be argumentative, as it should convey the main idea of the paper (i.e. out forward the central claim). In other words, you do not just provide an informative thesis, where you inform what the paper is about, but you communicate the main idea in it. As soon as you have come up with the thesis, write down that words that appear your mind when you think of your topic. After you have collected the words that are directly related to your topic, provide a list of those that are adjacent or closely related to it. Such an approach will help you create the word bank and expand your vocabulary. It will be easier in the writing process, as the essay will be more vibrant. As soon as you have been assigned the topic or have come up with the topic on your own, please explore the potential options for writing ideas. Think what you might write about when you hear the topic. Ask questions. Become curious and gather information. The more questions you ask, the more ideas you will have regarding what to write about. A good essay is the one, in which you develop ideas in a logical and concise way. Be succinct in developing the ideas. Make sure you do not focus on too many ideas in one paper, as your attention will be dispersed. It is better to choose fewer ideas but discuss them fully. A topic sentence is an opening sentence in each body paragraph. When writing an academic essay, you should remember that each body paragraph should begin with a strong and clear topic sentence that introduces a new idea or a new aspect of the idea. In other words, it should be clear from the opening sentence what the paragraph is about. Clear topic sentences help your reader to keep track of the information, which you provide in the paper. For example, if you have a 5-paragraph essay and you have outlined some three ideas in the thesis, each of them should be clearly introduced in each of the topic sentences. If you have the assignment to write a long argumentative essay, make sure to provide counter-arguments as well. When you structure the essay, you need to make your point (your argument) clear and pay sufficient attention to discussing your position. Still, it is important to consider another standpoint as well. Some assignments also require refutation (when you provide the counter-argument and specifically argue why you do not share this side). The approach of providing a counter-argument actually helps you to better reflect on your position and take into consideration all possible supporting ideas. It is hard to spot minor flaws (especially in grammar or punctuation) because you perceive the essay as a coherent unit. Still, there is a good strategy that will help you spot separate grammar, spelling, and punctuation mistakes – read the essay backwards and focus on separate words and phrases instead of focusing on ideas. This tip will help you track whether you use the tenses consistently, whether the words are spelled correctly, whether the apostrophes are put in the right places, and so on. Even though you are sure that you are proficient in English and have a good command of academic writing skills, remember that using a dictionary and a thesaurus is totally OK. In such a way, you will be able to maintain rich vocabulary, expand your word choice, and enrich your text in terms of synonyms and antonyms usage. It may seem to you that you have sufficient vocabulary but it often happens that many words go into passive vocabulary when they are not used. Therefore, it is totally normal to check the meanings of some words and find out which one suits best in the given context. When you have finished the paper, make sure you proofread it and double-check whether there are sentences that are too short or, on the contrary, too wordy. If you use too many short, simplistic sentences, make sure to unite them. In case you have many lengthy sentences that are confusing to comprehend and understand their meaning, then the best idea is to split them into shorter ones. Another thing to pay attention to is the sentences that have the same or similar meaning. Think of how you can paraphrase one of them or probably change its meaning. An essay does not look good if there are occasional sentences that almost repeat one another. I bet you have friends who are the native speakers of English. Why not ask him/ her to have a look at your essay and help you with it? A native speaker will surely help you find out whether your essay sounds OK in terms of grammar, sentence structure, and vocabulary choice. Besides, a native speaker will draw your attention to repetitive mistakes. It will help you avoid similar errors in the future. In case you are not lucky enough to have friends from the USA or the UK, use the Perfect-Writings service, where you will find professional English-speaking editors who will gladly help you with your piece of writing. Even if you do not have friends that are the native speakers of English, you can still ask any friend to listen to your paper and help you review it. This tip is invaluable, as your friend might even help you improve your essay in terms of content. Maybe some ideas sound strange, funny or ridiculous? Maybe you have some repetitive words, which makes your essay seem rather annoying? All these things will be easily noticed by a third person who reads or listens to your essay. With all the corrections and remarks, you will be able to rewrite the flawed parts and improve your writing. Finally, there are amazing online resources that you might use to improve your essay. In particular, Hemingway Editor or Grammarly might be used to help you spot some vivid sentence, vocabulary or punctuation mistakes. These programs might also help you spot some wordy or confusing sentences, or sentence fragments. Online sources are good but they are not always reliable. In case you have a serious piece of academic writing to submit, you can seek expert help from Perfect-Writings.com. We have a team of professional editors and writers who can show you how to write a brilliant paper. All in all, we hope that the aforementioned tips will greatly help you improve your essay writing skills over time.